A few months ago I went to Ocean City, MD as a new-ish annual trip to get some beach and sun! If you’ve ever been to the Ocean City boardwalk you will know it’s not one of the healthiest spots. Think boardwalk fries, frozen drinks, ice cream, fried oreos- you name it. So think of my excitement when I discovered a little spot of heaven called A Latte Enjoy. Originally we went for the coffee, but ended up staying for an amazing blend of delicious fruit known as the Hippie Bowl. This bad boy was the Dragon Hippie Bowl made with blended dragon fruit, banana and berries and layered with granola, coconut and heaven. Yes please! I was so happy with the find that we went back each morning and I made a mental note to make it at home. 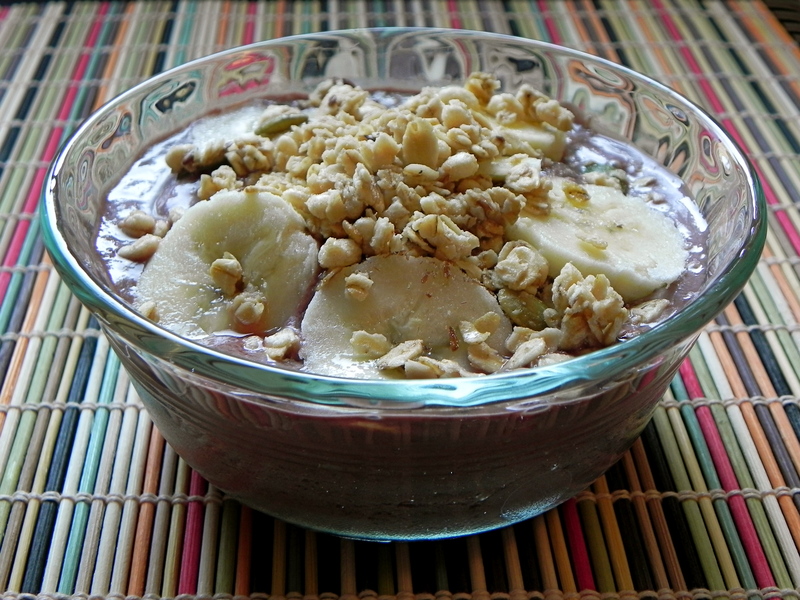 A long time ago I made an Acai bowl and posted about it. 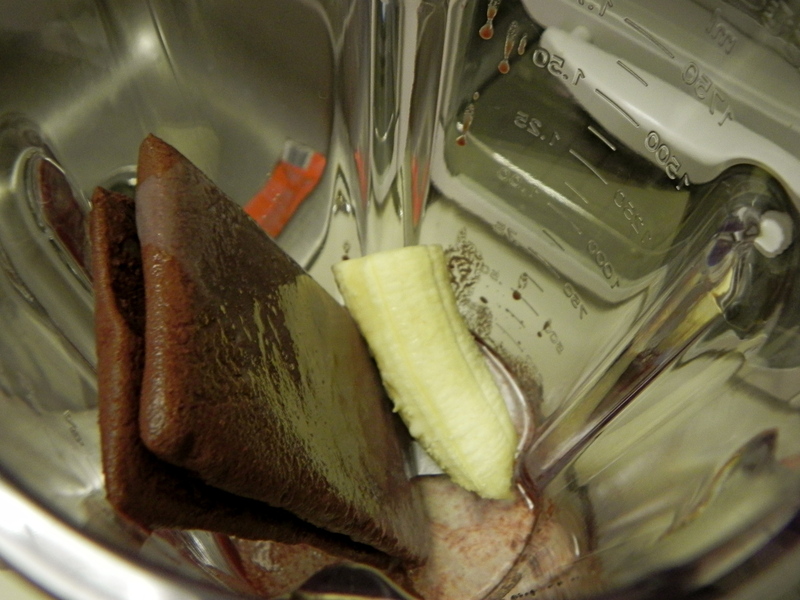 I made my most recent one after a run so I also added a small amount of protein powder to balance it out. This was so refreshing! Always hits the spot. What’s great about these bowls are that you can add any ingredients or toppings that you please. 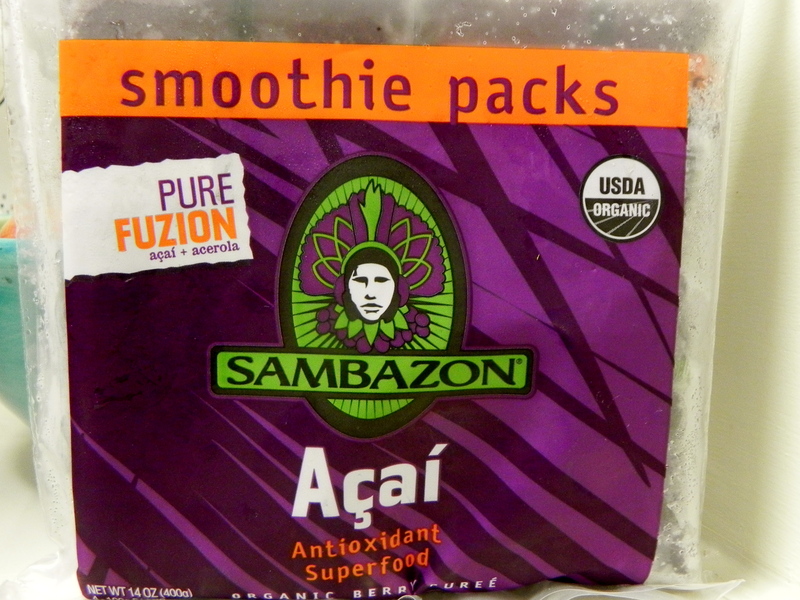 Blend in flax seed, chia seed, frozen fruits and more. 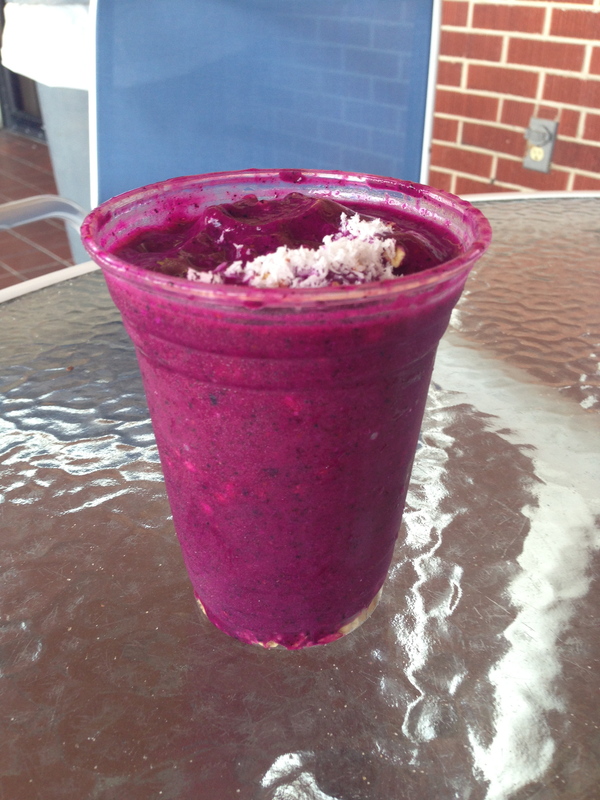 Top with coconut, granola, nuts, seeds, almond butter-anything goes! 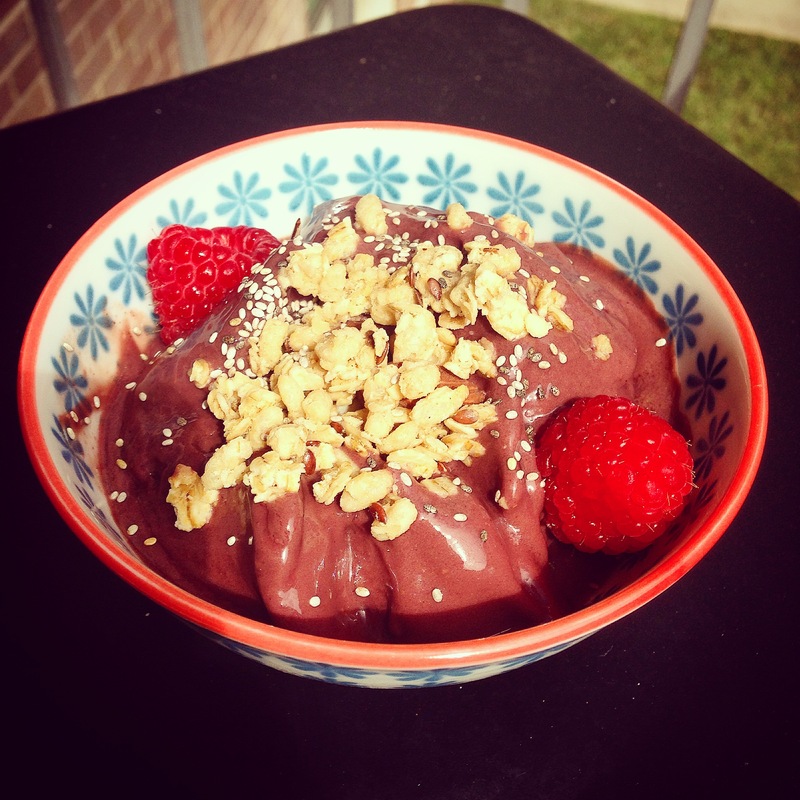 For a step-by-step tutorial and lots of delicious flavor combinations check out this post on How-to Make Acai Bowls. Enjoy! Yummmm, this is making my mouth water!